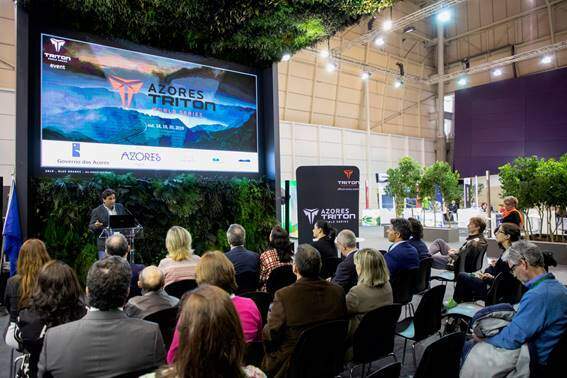 The past 13 of March was officially presented in the city of Lisbon, the TRITON World Series Multisport racing circuit, where the Azores TRITON, the next 19 of October will be the inaugural event. El TRITON World Series It is a world circuit of multi-sports long-distance races, which focuses on the three segments of the triathlon, where this year will debut with the Azores event but will soon be added to the circuit in countries such as Brazil, the United States, Canada, South Africa or Australia. The objective of this type of Multisport test is to compete for 3 consecutive days in each of the disciplines of which a triathlon is composed. The first day the test will be swimming, the second of cycling and the third and last of the race on foot. The winner will be whoever is the fastest adding all the times of the 3 tests. The competition has different distances for all levels and may even participate in each segment separately. From the organization we have provided the video in 3D, where you can see the spectacular journey you will have. If you are a fan of sports, adventure and tourism, surely this test is one to be taken into account.